ZUCA is a world-famous producer of extra strong all-purpose bags widely known as ZUCA bags. 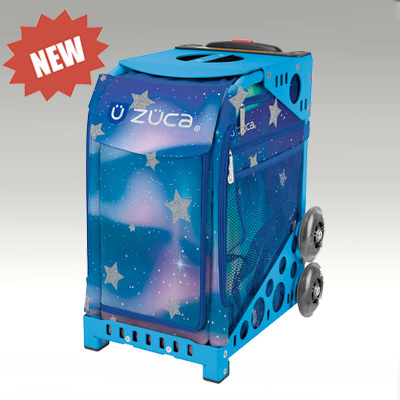 Due to their unique characteristics and designs ZUCA bags have gained popularity ever since the first ZUCA was produced in 2004. The success of a ZUCA bag lies in a happy combination of its features. A typical ZUCA consists of a durable metal frame equipped with a telescopic handle and a textile insert. 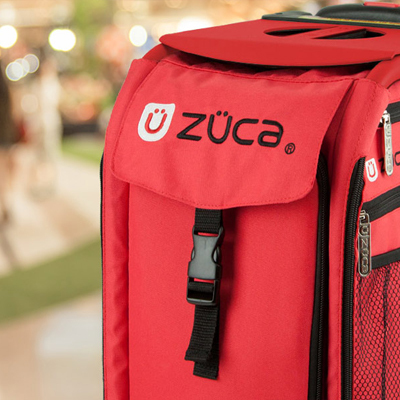 The metal frame of a ZUCA bag is made of a light-weight aluminum alloy designed to bear up to 300 lb. Consequently, ZUCA bags can be used for seating which makes them different from any other conventional bags. A telescopic handle and a double-wheel system account for a great maneuverability of all ZUCA bags while polyurethane feet do not damage sensitive surfaces. The textile inserts encased into the metal frame of a ZUCA bag come in a vast variety of styles and designs. This huge assortment of inserts has become a part of the ZUCA brand identity. A yearly Color Me ZUCA design contest is held by ZUCA to encourage creativity and incorporate new ingenious designs into the ZUCA family. ZUCA bag inserts also vary according to their purpose. There are several special-purpose product lines developed by ZUCA including School and Sports, Travel, Pets, Beauty, Artist and Mini. Each type of a ZUCA bag is specially adapted for the purpose it is intended to fulfill. 1. ZUCA bags for School & Sports represent the company’s flagship product. Having a capacity of 29 liters the School & Sports ZUCA bag can easily accommodate school books and sports clothes and equipment. Two compartments on the front wall of the bag may be conveniently used for small belongings like keys, stationary, cell phone, small snack, etc. 2. 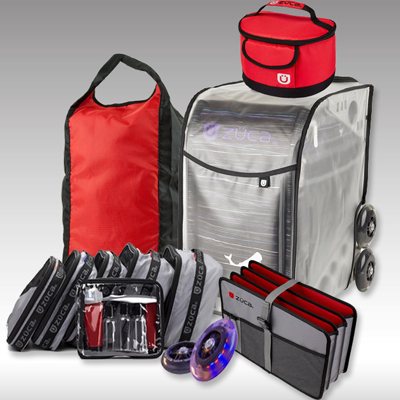 ZUCA Travel bags are specially designed to facilitate your transportation while travelling. Elongated handle and increased capacity of 32 liters increase your comfort level. Packing is made easier with five color-marked packing pouches of different sizes to assist you in the packing process. A TSA approved zipper pouch included into the ZUCA Travel set will be a convenient accessory for your cosmetic kit. Finally, your elegant ZUCA bag will preserve its looks after a trip to the baggage compartment thanks to the matching travel cover. 3. 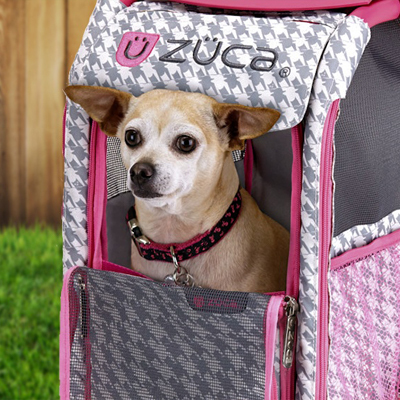 ZUCA bags for Pets are a great choice to transport your furry companion safely. This ZUCA is equipped with a strong mesh and a doubled mobile seat for a comfortable and neat travel. Moreover, the ZUCA Pet is designed as to be secured with a standard car belt to ensure additional safety when travelling by motor transport. The extreme mobility and smooth glide of the ZUCA Pat will facilitate a trip to a vet or a picnic both for both the pet and the owner. 4. 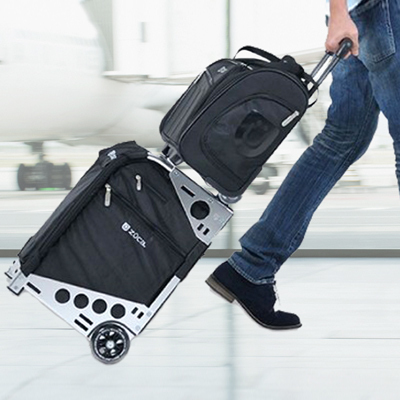 ZUCA Artist is another specialized model of ZUCA designed for artists, beauty industry workers and other professionals who need to carry tools and product samples on their business trips. 4 vinyl utility pouches supplied with this ZUCA model help to arrange the items in good order. 5. 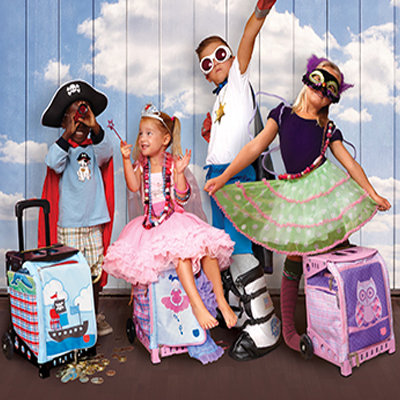 ZUCA Mini is a charming line of ZUCA bags intended for kids. A smaller weight and volume of this bag makes it easier to manage for the little ones. A big inside compartment will come handy to keep small items. The bag comes in bright and cute designs with a matching-color snack pouch. 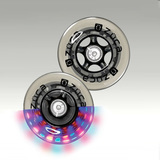 Optional flashing wheels may be added to make your ZUCA Mini even cooler! ZUCA bag is a great reliable companion on any trip be it a trip to school, work or vacation. You can make you ZUCA bag even more perfect by complementing it with some of convenient ZUCA accessories. Travel and seat covers, utility pouches, staff sacks, coolers, lunch boxes, document organizers and even name tags will help to make your trips enjoyable.